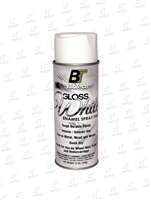 Great for use on Wheel Well, Frame, and Undercarriage Premium paint that covers easily to provide a tough, durable, heat resistant finish. Used for wheel wells and undercarriages. Can also be used on most types of metal and wood. 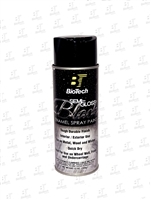 BioTech paints are specially formulated to dry quickly and smoothly. Aerosol can net weight 12 oz. 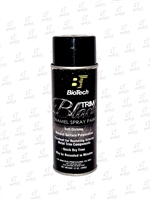 Use confidently to restore, renew, and rejuvenate automotive carpet, vinyl, and plastic. Use confidently to restore, renew, and rejuvenate automotive carpet, vinyl, and plastic. Use confidently to restore, renew, and rejuvenate automotive carpet, vinyl, and plastic. Use confidently to restore, renew, and rejuvenate automotive carpet, vinyl, and plastic. Use confidently to restore, renew, and rejuvenate automotive carpet, vinyl, and plastic. Use confidently to restore, renew, and rejuvenate automotive carpet, vinyl, and plastic.